What is the significance of teaching? The longer I taught, the more I realized that teaching is a calling that has many rewards. By far, the most significant reward is the pride and satisfaction derived from seeing graduates succeed in life. This success takes many forms: some are successful with their careers, some are successful with their contributions to their community or their country, and many are truly successful with their family life. However it is measured, any impact that a teacher might have on this is rewarding beyond words. As I look back at 2012 I felt compelled to acknowledge how proud I am of all of the students that I had the pleasure to teach and the staff that I had the pleasure to work with. Here is just a sampling of some who come to mind and should be noted for their accomplishments. If your name does not appear, please do not feel slighted, it is just a sampling. I hope to write another book over the next year or so that shows the connections between teacher and student. Chef Jamie Keating: Owner/Chef of Epic Restaurant in Georgia and past member of the U.S. Culinary Olympic Team. Chef Curtiss Hemm: Teacher extraordinaire and founder of Pink Ribbon Cooking. Chef Tim McQuinn: Executive Chef of the North Hero House in Vermont. Chef Gretel Ann-Alexy: Owner/Operator of Cupps Bakery in Vermont and contestant on the Next Great Baker. Chef David Russ: Career Military Man, past #1 Chef in the U.S. Army and member/coach of the U.S. Military Culinary Olympic Team. Jack Edwards: Director of Marketing and Sales for Miner Family Vineyards in the Napa Valley. Wendy Hackett (Kilponen): National Account Manager with Seattle’s Best Coffee. 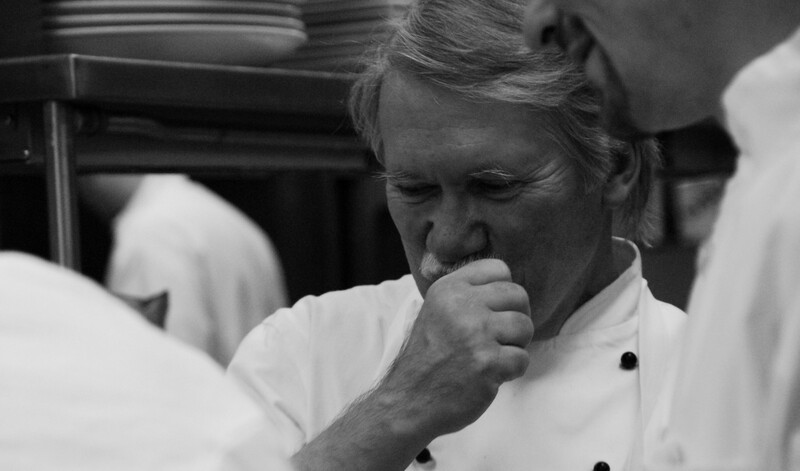 Chef Robin Schempp: Owner/operator of the Right Stuff Product Development and Consulting. Chef Steve Schimoler: Chef/Owner of Crop Restaurant. Arthur Cote: National Sales Director Fortessa China. Chef Ryan O’Malley: Chef Instructor at New England Culinary Institute. Chef Phil Flath: Executive Chef at Ocean Edge Resort in Massachusetts. Chef Paul Ozimek: Executive Chef at Taste Restaurant in Albany and past member of Charlie Trotter’s Team in Chicago. Chef Jody Winfield: Executive Chef at Bone Island Grill in Georgia. Chef Tim Hardiman: Chef/Owner of The Tailor and the Cook in Utica, New York. Tracey Caponera: Director of Inter-Institutional Programs at SUNY Delhi. Jonathan Copeland: Director of Seafood at Dole and Bailey Provisioners in Massachusetts. Nicole Fiacco: Account Director at the St. Regis at Monarch Beach in California. Nick Dolota: Event Planner at a Savvy Event in Sonoma. Chef Jamie Prouten: Executive Chef at Tiburon Tavern in Sonoma. Chef Eamon Lee: Corporate Chef at Maines Company. Jack Moyer: Vice President 1886 Crescent Hotel in Arkansas. Board member of Historic Hotels of America. Kristin Parker: Wedding and Events Coordinator at the Whiteface Club in Lake Placid. Chef Jason Porter: Regional Chef for The Compass Group. Brian Perry: Maitre d’ at Morton’s of Chicago. George Flay: Executive Chef at Ardsley Country Club. Julie Krzyzanowski Bumgarner: Director of Catering and Convention Services – Hyatt Rochester. Chef Jennifer Beach: Director of Baking at Popovers on the Square in New Hampshire. Chef Kathy Donaho: Chef Instructor at Le Cordon Bleu in Las Vegas. Dawn Swaney: Sous Chef at Mintwood Place in Washington, DC. and hundreds of others who I have had the pleasure to work with in the classroom and in the kitchen. Asparagus Salad – Better Late Than Never. Who Can Resist Baby Back Ribs?